This is the Best Detox Salad ever! 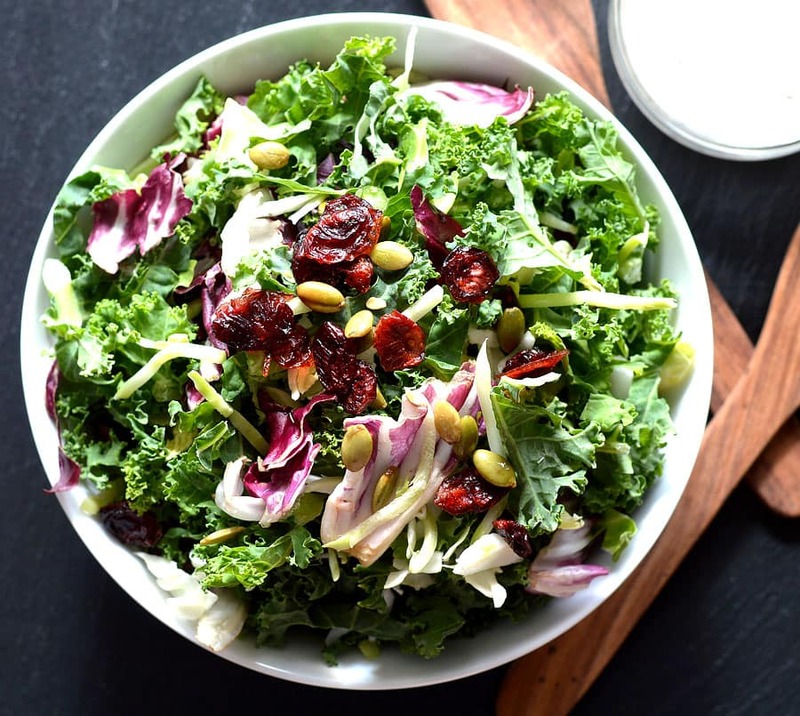 It contains 5 super foods: Kale, pumpkin seeds, Brussels sprouts, cranberries, and cabbage. Also in this sweet kale-based chopped salad is chopped broccoli and radicchio for a bit of color. Topping it off are dried cranberries for sweetness and pan-roasted pumpkin seeds for saltiness.